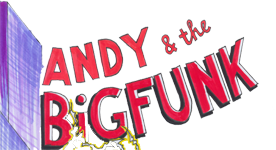 These three young (well compared to Andrew) funksters have fired up the bands performance since they joined forces to create a truly tight section. So tight they seem to merge into one (musically that is). 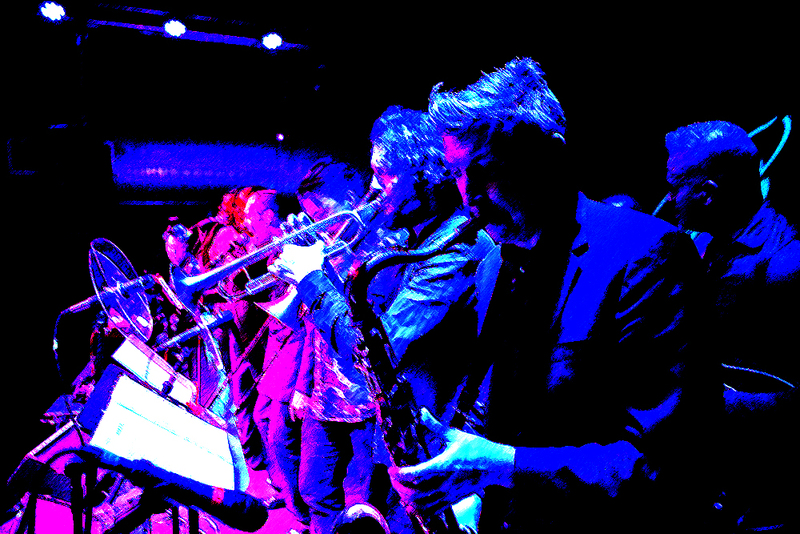 With dance moves inspired by Max Wall they reach new heights in choreography and between them Trevor Mires (trombone), Chris White (Tenor Sax) and Simon Finch (Trumpet) have each earned themselves a reputation as windy professionals. Among the many credits to their name are George Benson; Andrea Boccelli; Ray Charles; Weather report’s Peter Erskine; Incognito; Jamiroquai; The James Taylor Quartet; Tom Jones; Lemar; The Mavericks; Mat Bianco; Katie Melua; Billy Preston; Jean Toussaint. and LWT favourites Dudley Moore; Victoria Wood; Rowan Atkinson and Michael Barrymore.